It's time for singing around the birdhouse! 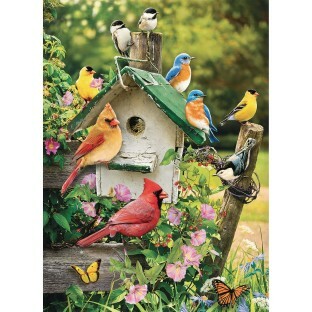 It’s springtime and that means it’s time for singing around the birdhouse! It looks like some Monarch butterflies have joined their friends too, the more the merrier! 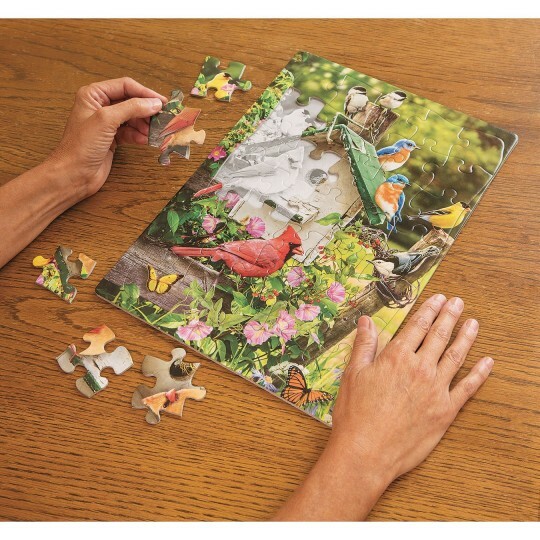 A tray puzzle is durable inlaid pieces in a tray with definitive outlines underneath for the user to follow when figuring out where each piece goes. The shapes of the pieces and the colors are made to assist for easy and successful completion. 35 pieces per 14” x 10” puzzle.